Endless doughnut creates a sense of infinite motion. 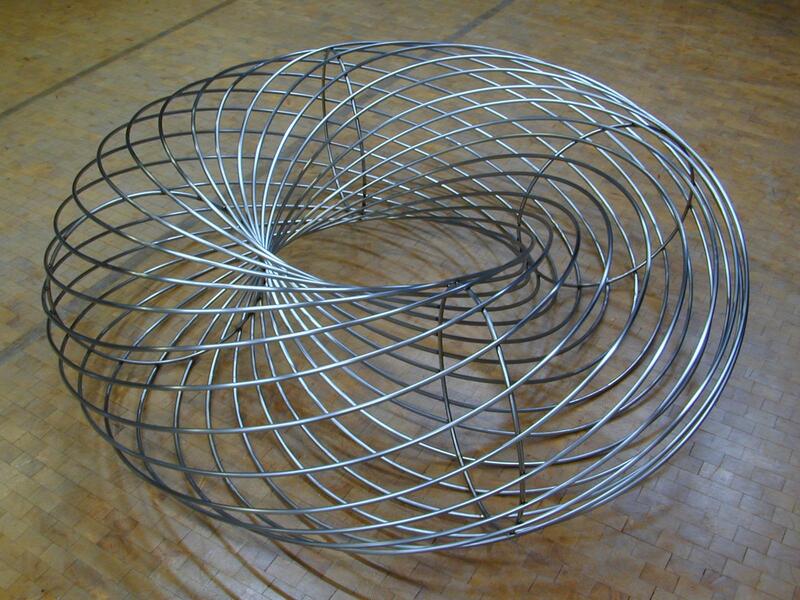 A tube of stainless steel coils around a central void to form a toroid structure two meters in diameter. 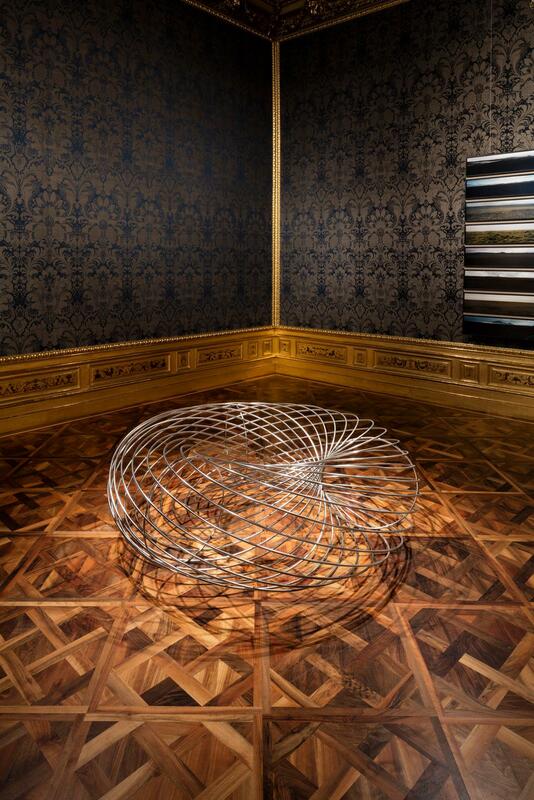 The spiral is held in position by three additional supporting rings arranged within it as cross sections. Endless doughnut is based on a model that forms part of the artist’s “cabinet of investigations”—the Model room, developed with Einar Thorsteinn, containing a selection of studies, prototypes, maquettes, and geometric studies, which serves as a reservoir of ideas for spatial and artistic research.